Had Nelson Cruz not been busted in the Biogenesis scandal in 2013 he likely would have landed a five year deal last year with at least a value of $90MM – $100MM. Instead he signed with the Baltimore Orioles for one year and bashed an AL leading 40 home runs and drove in 108 runs. It was those numbers that landed Cruz a four-year, $57MM deal with the Seattle Mariners Monday morning. It’s still shy a year and some millions of what he could have made, but after last season’s compromise (Cruz earned $8MM), the new deal looks pretty golden. The Mariners made a committment last season towards a brighter tomorrow when they held firm to their policy of holding on to ace Felix Hernandez and then signed free agent second baseman Robinson Cano to a 10-year, $240MM deal. The team also inked closer Fernando Rodney last offseason and recently signed slugging third baseman Kyle Seager to a seven year extension. They also dealt for centerfielder Austin Jackson at the 2014 trade deadline. Cruz is likely to spend most of his time at DH, though he should see upwards of 50 games in left and/or right field spelling Dustin Ackley and Michael Saunders. The 34-year old, who has been subject to hamstring injuries throughout his career, matched his career high for games played last season with 159. His home run and RBI totals were both career highs (it was the first time he knocked in 100 runs) and helped earn Cruz his third All-Star appearance and a 7th place finish in the AL MVP voting. His season was made more interesting by the fact that Cruz only put up .783 OPS at his home ball park, the hitter friendly Camden Yards. His bat also went to sleep from June through part of August. The New York Mets originally signed the Dominican native to a contract in 1998. He was dealt to the Oakland A’s in 2000 and then moved on to Milwaukee in 2004. 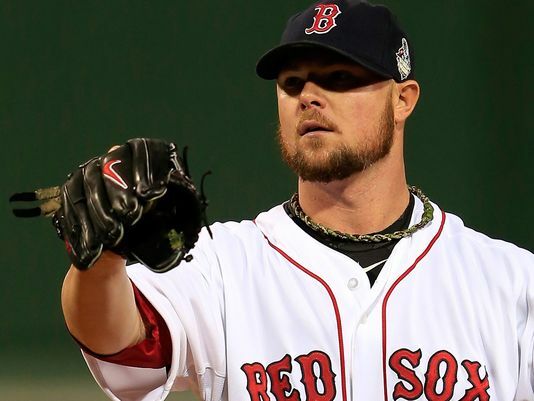 The deal that kickstarted his career though came in 2006 when he and Carlos Lee were sent to the Texas Rangers for reliever Francisco Cordero and outfielders Kevin Mench and Laynce Nix. Cruz had his break out season in 2009 when he slugged 33 home runs. He’s averaged 29 home runs in his last six seasons. He had 27 HR and 76 RBI when he was suspended 50 games for his involvement with Biogenesis, the performance enhancing drug (PED) “store” that mascaraded as a health clinic. With Cruz’s departure, the Orioles may ramp up their talks with the LA Dodgers about outfielder Matt Kemp. Manager Buck Showalter and the Orioles are counting on a big season from Ubaldo Jimenez. In 2011, Manager Buck Showalter took over a club that had only finished higher than fourth place in the AL East once since 1997. A year later, he led the team to a 93-win season and their first playoff appearance since ’97, ultimately losing to the Yankees in the fifth game of the divisional series. Last year, the team won eight less games than in 2011, missed the playoffs, and settled into a third place tie with the Yankees. The offense revolves around Chris Davis, who finished behind Miguel Cabrera and Mike Trout in last year’s AL MVP voting. Despite missing the playoffs, there’s a legitimate argument that Davis should have been the MVP. 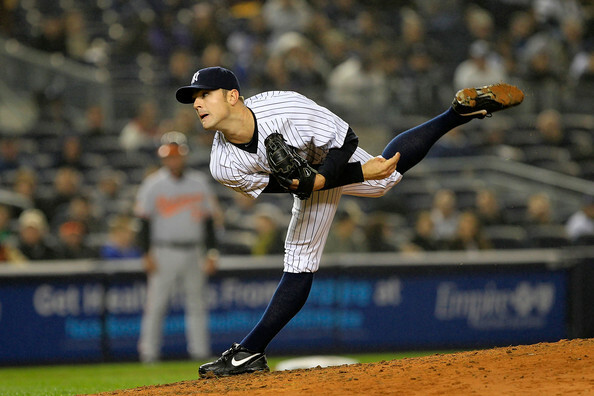 Davis struggled in his years with the Texas Rangers organization (2006-2011), and wasn’t highly regarded when he and Tommy Hunter were dealt to the O’s for Koji Uehara at the 2011 deadline. The change of scenery had an impact for Davis in the 2012 season. He belted 33 home runs, drove in 85 runs and recorded a .501 slugging percentage. Last season, Davis reached another stratosphere – an AL- leading 53 HR and 138 RBI, and a 1.004 OPS. It earned him his first All-Star appearance and his first Silver Slugger Award. 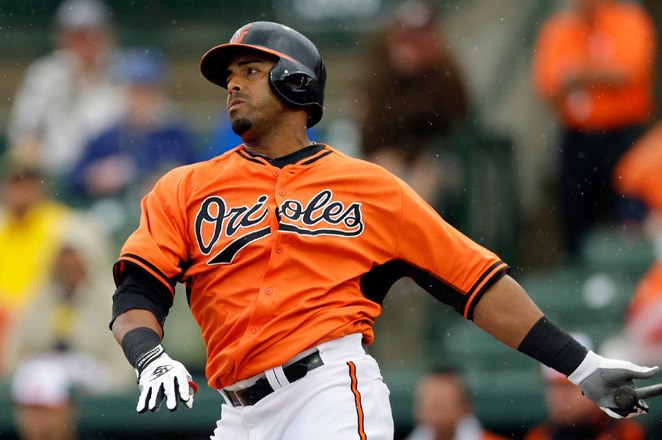 The Orioles finished tied for fourth in the AL in runs scored last season, but general manager Dan Duquette signed free agents Nelson Cruz and Delmon Young to give Davis protection in the lineup. Cruz has a history of injuries, mainly hamstring, and is coming off a 50-game suspension for his involvement with the Biogenesis Clinic. He’s averaged 27 HR and 81 RBI over the last five seasons, but has topped 130 games played just once in non-suspended seasons. At 28, Young is not so young any more and is at a crossroads in his career. His image has been damaged by his off-the-field comments and he hasn’t produced on the field. His lone big season came in 2010, when he knocked in 112 runs and topped an .800 OPS for the only time in his career. He’ll likely platoon in right field with David Lough. 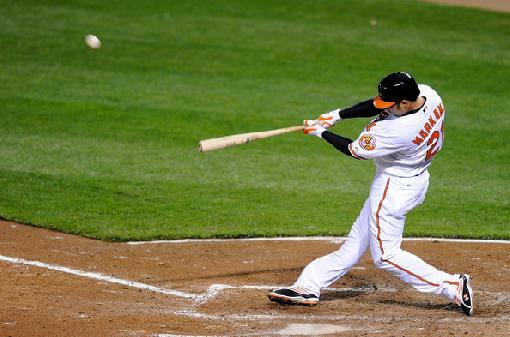 The Orioles will be without the services of their phenom third baseman Manny Machado to start the season. In his first full season in the Majors, Machado earned an All-Star nod and won a Gold Glove award. The 21-year old tore the medial patellofemoral ligament of his left knee in the final week of the 2013 season. He had reconstructive surgery in October with an expected recovery time of 4-6 months. In the meantime, Ryan Flaherty, Jonathan Schoop, and Steve Lombardozzi could see time at third base (as well as second base). Chris Tillman didn’t look good in his 36 Major League starts over 2009 – 2011, but he impressed in his 15 starts for the Orioles in 2012. That led to a breakout 2013 season. Tillman topped 200 innings, struck out 179 and won 16 games. He needs to cut down on serving up home runs, and control is sometimes still an issue, but Tillman should be able to build off of last season’s success. He’ll be joined by Ubaldo Jiminez, who the Orioles signed to a four-year contract worth somewhere in the neighborhood of $50MM. It’s a big risk, considering that outside of the second half of last year, Jimenez hasn’t been good since 2010. Jimenez did post a career-high 9.6 strikeouts per nine innings last year and cut his wild pitches (8) in half from 2012. The money per year isn’t bad, but the number of years sounds nuts at the moment. Hunter will replace Jim Johnson as closer. He has the tools, but has not had the role of full-time closer before. Steven Pearce gives Showalter versatility with the ability to play first base and outfield. The second base/third base triumvirate will have one to two of the three coming off the bench. Steve Clevenger backs up Matt Wieters at catcher. Nolan Reimold continues to struggle in his comeback from a pair of neck surgeries and will start the season on the DL. 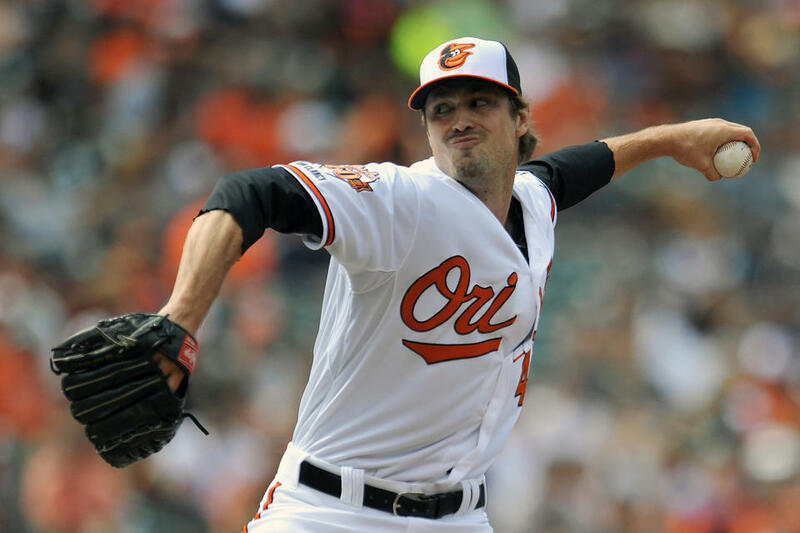 There are talented players in the Orioles lineup, but neither the pitching nor hitting will provide enough to finish ahead of the big three AL East powerhouses, Boston, New York, and Tampa Bay.